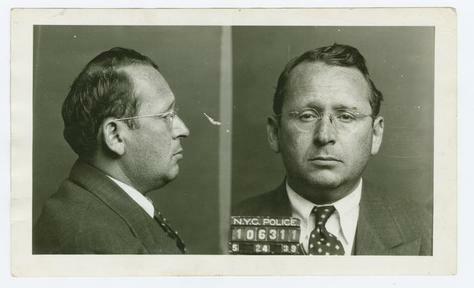 Police Department, City of New York black and white mug shots of David Silverstick, alias Barney Silver, alias Barney Google, alias Barney Gold, alias Silver-Track Cohen. Head and shoulders portraits, facing front and facing left. Gallery number B-106311.